This story is a classic fairy tale about three billy goats who want to cross a bridge to reach the sweet green grass on the other side. What they don't know is that there is a big, hungry troll who lives under the bridge. One by one the billy goats cross the rickety bridge, but each one gets stopped by the hungry troll who wants to eat them for dinner. Luckily the goats manage to think on their feet and outsmart the troll to reach the other side of the hill safely. The repetitive language and clear sequence of events (i.e. 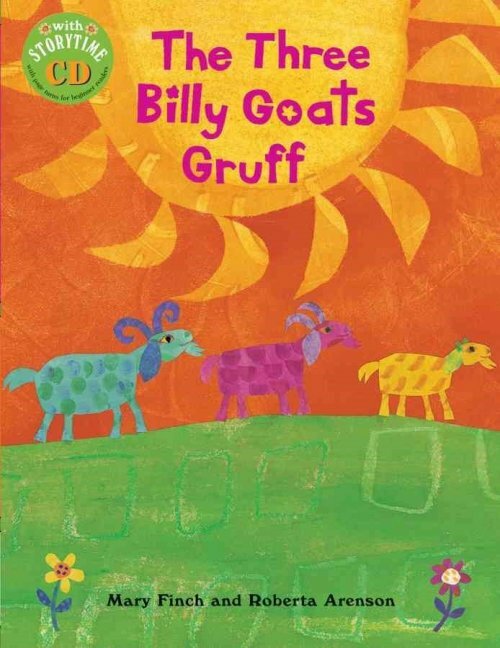 little goat, medium-sized goat, big goat) in The Three Billy Goats Gruff make it the perfect book to use for targeting narrative retelling in young children. I love using story props or dress-up box to make retelling the story an interesting and exciting activity. There are many opportunities to add descriptive language to describe the characters (e.g. big, hairy troll) and setting (e.g. hills with sweet green grass, rickety bridge, deep dark hole under the bridge). This book by Mary Finch is one of many versions of The Three Billy Goats Gruff. Any version of this story will meet the speech and language targets outlined below.